Leeks are relatives of onions, scallions, shallots, and wild ramps and look like a very large green onion. Learn how to measure leeks so you know how many you will need, cups and equivalents when chopped, and what you can substitute for leeks in a recipe. Most recipes, they will call for a certain number of leeks and you will be using only the light green to white portions of the leek. The dark green portions are more fibrous. You can save the dark green leaves for use in soup stock (they will cook long enough to soften) or compost them. 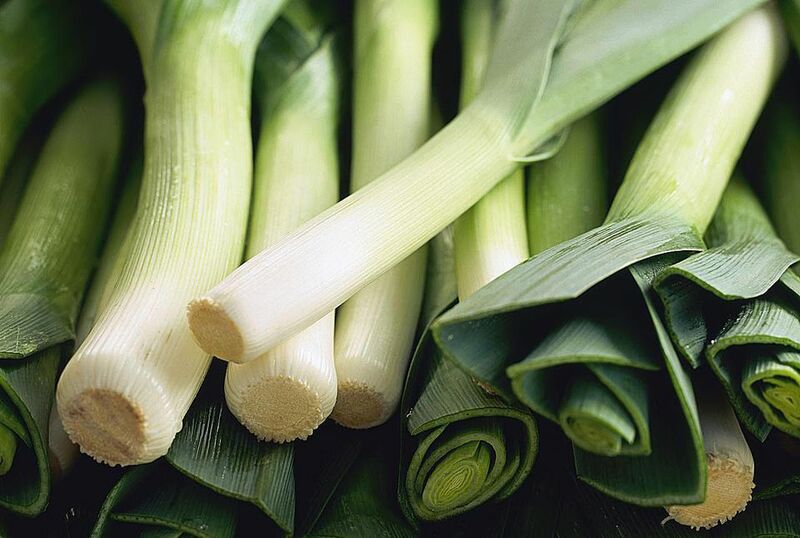 If you are serving leeks as a side dish, 1/2 cups of leeks equal a serving. Check the package to see what the equivalent of raw leeks is for the product. Some can be used 1-to-4 while others may be 1-to-6. Leeks have a milder taste than onions or scallions. When the recipe does not use leeks as the primary ingredient, mild sweet onions or green onions may be substituted. You can substitute one-for-one by weight or volume. You might also substitute shallots, which lack a hot onion bite but will add a slight garlic flavor. Wild ramps are known as wild leeks in some areas. They have a combination of onion and strong garlic flavor and may make a good substitution for leeks. If you have no fresh vegetables handy, you might substitute onion powder for leeks in a recipe. About 1 teaspoon of onion powder will substitute for 1 cup of raw, chopped leeks. If you are cooking for someone with an allergy or sensitivity to leeks and other members of the Allium family (onions, scallions, shallots, or garlic), you might try substituting celery. While it won't give the same flavor as leeks and its cousins, many find it is acceptable. If you have leeks to spare, you might also want to experiment substituting leeks in onion recipes, especially soups and stews.